Now, unlike any time before, is the time for God’s elect, those who are united to God in truth and spirit, to pray for the deliverance of the souls of others. In Job 42, God had “accepted” Job because he saw his true self, and in that awareness he repented and turned to God. After coming through the refining trials and continuing to cling to God and the truth, Job finally saw God. He knew Him. Job 42:5-6 Because of the new spirit within Job, God told Job’s friends to go to Job and have him pray for them because He had “accepted” Job. Job 42:7-9 God would hear Job’s prayers. In being united to God, they abide in God’s truth and are constantly going deeper into it. They put it above all else. Psalm 138:2 They abide in it daily. They desire to obey the truth and be completely consumed by God. That truth in them has sanctified them and prepared them to be powerfully used by God. And because they hold God’s truth, they pray in unison with it. Once through the refining trials and filled with God’s spirit of truth, a person’s prayers have tremendous power. In Revelation 19, Christ, called the Word of God, comes with His saints to conquer. His method of conquering? The sword that comes out of His mouth; His Word, truth. God’s words have power. By them He creates and destroys. Those filled with His Word, hold its power. May we not underestimate the power of it and neglect the Word and the significance of prayers spoken in line with it. Now God is very merciful. Truth and mercy go hand in hand – thank goodness. Someone who is seeking God in truth, but immature in their understanding of the God and His ways as they progress through the refining trials, probably aren’t praying in line with God’s will. They are unknowingly praying against God’s will, and they don’t really know what is good. But their heart is to know God and their seeking testifies to that fact. Graciously, the Holy Spirit prays on their behalf as they don’t know what to pray. This is why at times they feel their prayers aren’t answered. God isn’t answering them as they expect because of His love. If He did ramifications would be harmful. This is what Satan does, he gives someone what he superficially wants yet it’s to his destruction. God gives you what is best for you, and as you learn in time it’s what you truly desire. As a young believer continues to abide in the Word and the instruction of the Holy Spirit, they come to better understand God’s will and pray more in line with it, though the Holy Spirit is always interceding to some degree for God’s people because there is always more to learn. Powerful prayer comes from knowing God and being united to Him in truth and Spirit. It’s then that your heart, mind and spirit are truly united to Him. In Revelation 11, the two witnesses (the two groups of believers, the two lampstands whose light wasn’t removed, who aren’t bound by local institutions, denominations, or titles) stand before God. Their words have tremendous power. Revelation 11:5-6 They intimately know God. They know His truth. They walk in it. They’ve been purified by it. John 17:17. They’ve honored God’s command by doing what He has instructed; know Him, seek Him, abide and mediate on His pure Word that comes from Him. Revelation 2-3 Thus their words and prayers have tremendous power. Do you see the difference of the power of those who are truly of God, who have His Word abiding in them, and who pray in line with His will? In God’s holiness, God’s elect need to pray to an extent that others cannot. Now is the time to pray; to pray for God’s truth to penetrate others’ lives, for their souls to be united to God’s in truth and Spirit, and for God to have mercy. James 5:16 Confess your trespasses to one another (and forsake them), and pray for one another, that you may be healed. 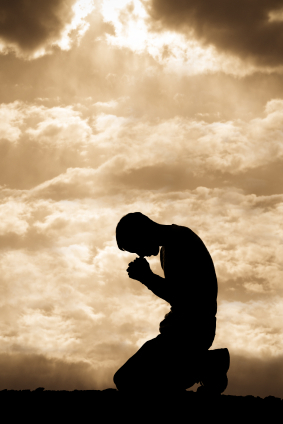 The effective, fervent prayer of a righteous man avails much. Categories: End Times, Prayer, Salvation | Tags: Bible, Christ, Elect, fruit of spirit, God, Holy Spirit, Jesus, Jesus Christ, Job, new creation, power, Power of Prayer, Prayer, prayers, Relationship, relationship with God, Salvation, Saved, saving, truth, Word, Word of God | Permalink.